Heavenly Paws is a foster-based rescue, which means that we have no brick-and- mortar location. We rely on volunteers to open their hearts and homes to a dog or cat in need. If you have never fostered a homeless pet before, you should know that it is a very rewarding experience, and is very much like adding another pet to your home – only this one is temporary. We ask every foster family to treat their foster pet as if it is their own, a member of their family. 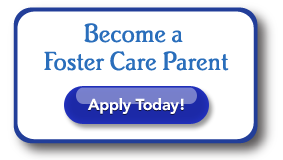 Foster families must provide a loving home (inside the house) with food, water, play and lots of tender loving care. In some cases, your home will be the very first place where this pet will learn what indoor manners are, what a gentle hand and warm bed feels like, and how to be an adoptable companion to a loving family. You will also be asked to make your foster pet available for adoption events and if an adoption application is approved for your foster pet, that you will facilitate a meet-n- greet with the pet and prospective adopter. Heavenly Paws of MI provides food, supplies and routine medical care and tracks what care is due and when. I have elderly parents who have always had a cat. Their cat died several years ago of cancer. They are interested in having a cat in their lives, but their are in their 80s. Do you foster senior cats to seniors??? Thank you!!!! Adoption application has been filled out and sent. They have no email address so I included my own. This will be so wonderful for both of them – thank you! !